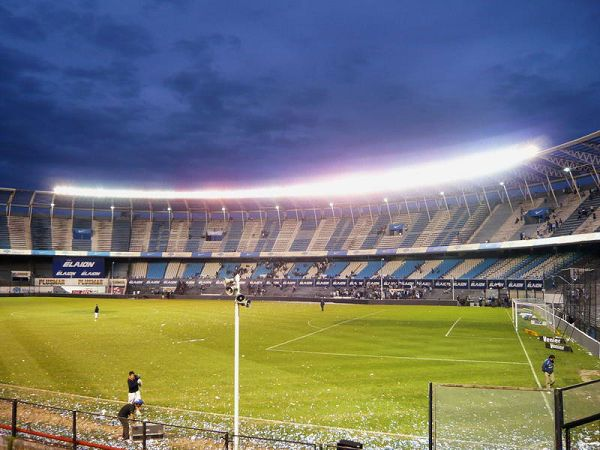 Second Half ended - Racing Club 0, River Plate 0. 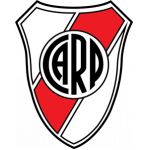 Franco Armani - River Plate - receive yellow card. Shot blocked. Guillermo Fernández - Racing Club - shot with right foot from outside the box is blocked. Corner - Racing Club. Conceded by Franco Armani. New attacking attempt. Jonathan Cristaldo - Racing Club - shot with the head from the centre of the box is saved in the left corner. Assist - Augusto Solari with a cross. Exequiel Palacios - River Plate - won a free kick in defence. Corner - Racing Club. Conceded by Lucas Martínez Quarta. Corner - Racing Club. Conceded by Juan Quintero. Delay in match Gonzalo Montiel - River Plate - - injury. Lucas Pratto - River Plate - won a free kick in attack. Shot blocked. Nery Domínguez - Racing Club - shot with right foot from outside the box is blocked. Assist - Alexis Soto. New attacking attempt. Alexis Soto - Racing Club - shot with right foot from the left side of the box is saved in the top centre of the goal. Assist - Guillermo Fernández. Lucas Orban - Racing Club - won a free kick in defence. Offside - Racing Club. Jonathan Cristaldo with a pass, however Lisandro López is in offside. Missed chance. Guillermo Fernández - Racing Club - shot with left foot from outside the box missed. Assist - Jonathan Cristaldo with a head. Substitution - Racing Club. Jonathan Cristaldo for Ricardo Centurión. Substitution - River Plate. Juan Quintero for Gonzalo Martínez. Exequiel Palacios - River Plate - won a free kick in attack. Renzo Saravia - Racing Club - won a free kick on the right wing. Offside - Racing Club. Alexis Soto with a pass, however Nery Domínguez is in offside. 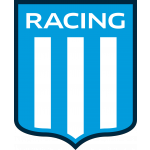 Ricardo Centurión - Racing Club - won a free kick in attack. Milton Casco - River Plate - won a free kick in attack. Milton Casco - River Plate - won a free kick in defence. Substitution - Racing Club. Guillermo Fernández for Neri Cardozo. Substitution - River Plate. Enzo Pérez for Ignacio Fernández. Ignacio Fernández - River Plate - won a free kick in defence. Gonzalo Montiel - River Plate - won a free kick in defence. Corner - Racing Club. Conceded by Ignacio Fernández. Gonzalo Martínez - River Plate - won a free kick in defence. Missed chance. Ricardo Centurión - Racing Club - shot with right foot from outside the box missed. Assist - Leonardo Sigali. Shot blocked. Augusto Solari - Racing Club - shot with right foot from outside the box is blocked. Assist - Ricardo Centurión. Neri Cardozo - Racing Club - receive yellow card for a foul. Gonzalo Martínez - River Plate - won a free kick on the left wing. Lisandro López - Racing Club - won a free kick in defence. Substitution - River Plate. Bruno Zuculini for Ignacio Scocco. Substitution - Racing Club. Augusto Solari for Federico Zaracho. Second Half starts Racing Club 0, River Plate 0. First Half ended - Racing Club 0, River Plate 0. New attacking attempt. Lisandro López - Racing Club - shot with right foot from outside the box is saved by goalkeeper in the centre of the goal. Assist - Gustavo Bou. Second yellow card to Leonardo Ponzio - River Plate - for a foul. Renzo Saravia - Racing Club - won a free kick in attack. Nery Domínguez - Racing Club - won a free kick in defence. Delay in match Lisandro López - Racing Club - - injury. Corner - Racing Club. Conceded by Milton Casco. Alexis Soto - Racing Club - won a free kick in defence. Corner - River Plate. Conceded by Lucas Orban. Offside - River Plate. Gonzalo Martínez with a pass, however Lucas Pratto is in offside. Leonardo Ponzio - River Plate - receive yellow card for a foul. Ricardo Centurión - Racing Club - won a free kick on the left wing. New attacking attempt. Gustavo Bou - Racing Club - shot with right foot from the right side of the box is saved in the top right corner. Assist - Ricardo Centurión. Missed chance. Javier Pinola - River Plate - shot with right foot from the centre of the box is close, but missed after corner. Corner - River Plate. Conceded by Alexis Soto. Gonzalo Martínez - River Plate - won a free kick in attack. Missed chance. Ignacio Scocco - River Plate - shot with left foot from the centre of the box missed. Assist - Gonzalo Martínez. Offside - Racing Club. Leonardo Sigali with a pass, however Lucas Orban is in offside. Lucas Martínez Quarta - River Plate - receive yellow card for a foul. Lisandro López - Racing Club - won a free kick on the left wing. Corner - River Plate. Conceded by Renzo Saravia. Renzo Saravia - Racing Club - won a free kick in defence. Shot blocked. Lisandro López - Racing Club - shot with left foot from the centre of the box is blocked. Assist - Neri Cardozo. Missed chance. Ignacio Scocco - River Plate - shot with right foot from outside the box missed. Assist - Gonzalo Martínez. Federico Zaracho - Racing Club - won a free kick in defence. Federico Zaracho - Racing Club - receive yellow card for a foul. Shot blocked. Lisandro López - Racing Club - shot with left foot from the right side of the box is blocked. Assist - Neri Cardozo. Corner - River Plate. Conceded by Gabriel Arias. New attacking attempt. Gonzalo Martínez - River Plate - shot with left foot from outside the box is saved in the left corner. Assist - Lucas Pratto.